Rain (Jung Ji-hoon) recently sat down for an interview, where he talked about how he prepared for his character in “Sketch,” what it was like working with his co-star Lee Dong-gun, and filming his own action scenes. 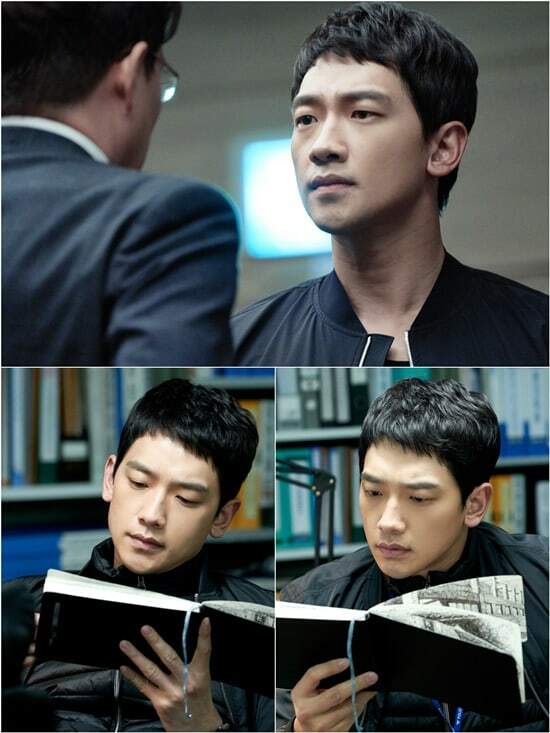 “Sketch” is about veteran, ace detective Kang Dong Soo (played by Rain) who loses the love of his life. He works with a team of detectives to prevent the things that happen in Yoo Shi Hyun’s (played by Lee Sun-bin) clairvoyant sketches. Rain shared that before going into filming, he had researched by watching and reading investigative works to break down his character. He explained that he pondered over his character a lot as he had to portray a charismatic side to the detective while also showing sorrowful emotions. On why he chose the drama, he commented, “The story that I had always wanted to try was in the script.” Rain also praised his co-star by saying, “When Lee Dong Gun acts, you can feel the chemistry even from his gaze.” The two actors previously appeared in “Sang Doo! Let’s Go to School!” together. “Sketch” will air its first episode on May 25 at 11 p.m. KST. I love Ji-hoon’s hair like this. So handsome! Only 2 weeks to go to ‘Sketch’!! !